Author: Kelton D. Sams, Jr. Description: These events actually took place in Galveston, Texas between March, 1960 and May, 1961. The author played a central roll in sit-ins at lunch counters in the City and the desegregation of Stewart Beach. 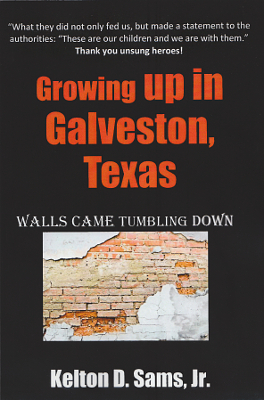 It was the beginning of the end of the way life had existed in Galveston, TX for over two hundred years. The long march towards full equality for Afro-Americans did not begin nor did not end with these bold actions. What was achieved by me and my Central High Classmates was another achievement that screamed out loudly, "We are equal to all and will not be treated as second class citizens any more. This telling of past accomplishments is intended to inspire and encourage future generations to seek justice and challenge unjust laws and unwritten codes of conduct. You do not did to wait until you are twenty-one to begin speaking out for justice. Viewed: 1,817 times since January 21, 2016.